Home water damage can lead to unnecessary stress and thousands of dollars in repairs. Although you cannot prepare for all plumbing-related accidents, there are some steps you can take to reduce the chances of a flooding due to mishaps, damage or neglect in your home. Keeping an eye on potential sources of leaks is just one of the many steps you can take to prevent home water damage. Regularly checking your appliances for leaks can prevent larger problems in the future. Look for visible signs of leaks, including standing water near appliances or dark spots on the wall(s) nearby. 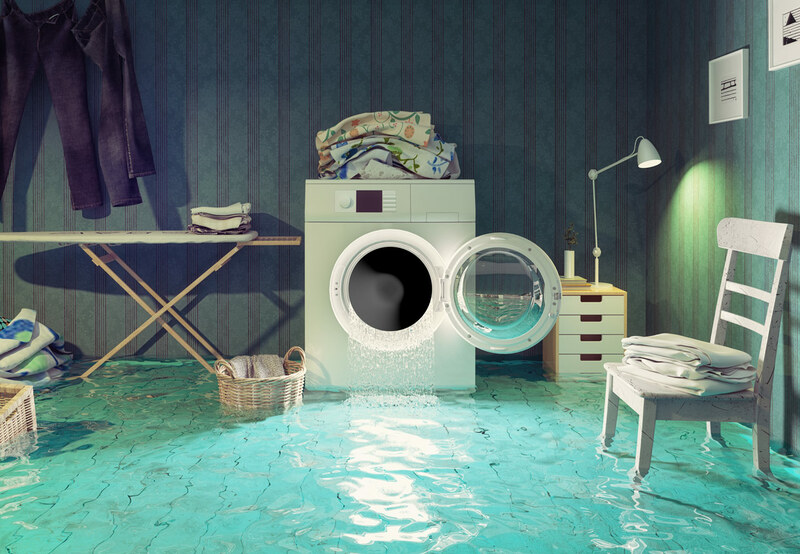 Your home’s appliances contain some parts that can become brittle and break, leading to significant flooding if you do not repair them promptly. Fortunately, many of these parts can be easily replaced. Simple repairs include replacing the hoses in your washing machine, the filter in your dishwasher and similar parts in other appliances. Water sensors alert you when water appears in places that it does not belong. These sensors can be put on the floor near plumbing fixtures or appliances that use water. Bathrooms and laundry rooms are excellent places to use sensors. Some sensors even allow you to monitor their status remotely with an app on your smartphone. Your water bill contains vital information about your water usage. Comparing two bills together can help you determine if there is a possibility of a leak in your home. If you see a sudden uptick in your usage without an obvious explanation, such as houseguests, you may have a leak somewhere in your home. Finding a leak while it is new and relatively small can help you avoid flooding issues. The last sight that you want to see after arriving home from a vacation is a flooded basement. If you are going to be gone for more than a few days, turn off your water before you go. The easiest way to accomplish this is to turn off the main water valve. Improperly using your drains can lead to backups and flooding. In the kitchen, do not depend on your garbage disposal to grind up food pieces that could potentially get stuck in your pipes (e.g. pasta, egg shells, fibrous foods); simply throw these items away or put them in a compost bin. Grease and oils should never go down the drain. In the bathroom, use hair catchers to prevent hair from going down the drain and creating a clog. Preventing home water damage can save you from both stress and money problems. Good prevention starts by becoming more aware of your home’s plumbing and appliances. Be more prepared for disasters by reviewing ALE Solutions temporary housing options. thank you for the home water tips .i have learnt a lot of those things i take for granted. I think that installing a water sensor would be one of the better ways that someone could go about preventing water damage from happening. Then again, the damage could occur when you aren’t home but it would be a good precaution to have. I’d just be sure to have the damage remedied as quickly as possible to help prevent any mold or other issues popping up. Excellent tips, and I might add to not treat drains and toilets like garbage bins. Items might go down the drain but form gradual clogs that lead to burst pipes and backups. Thanks for the info!